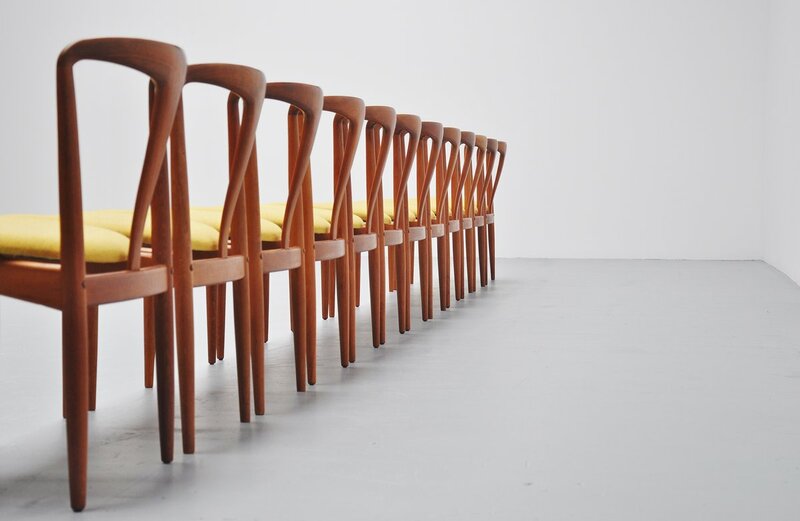 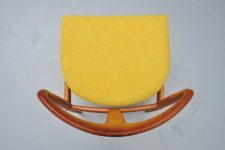 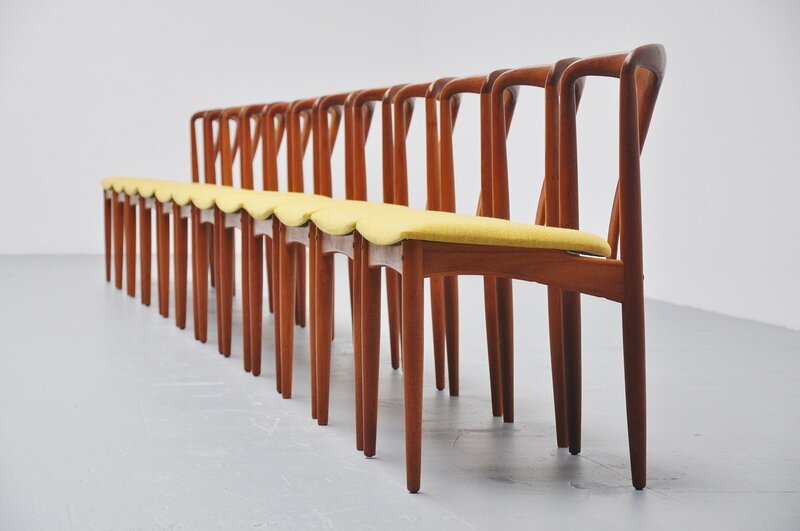 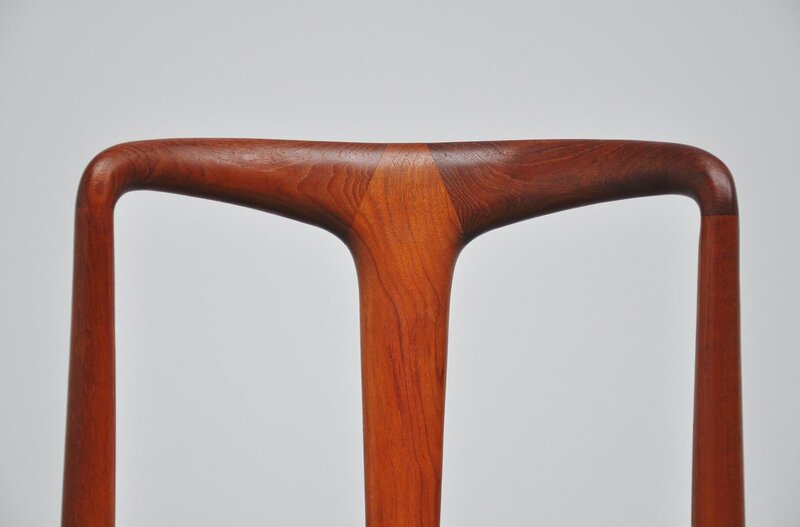 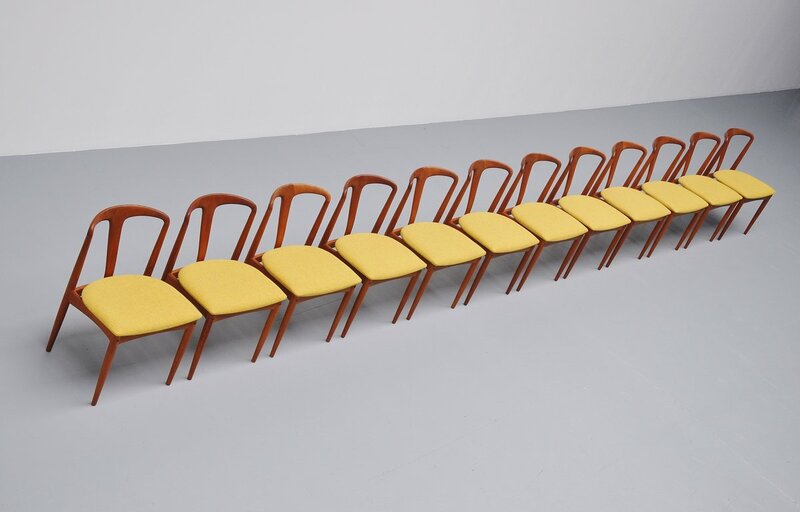 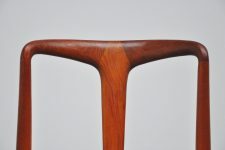 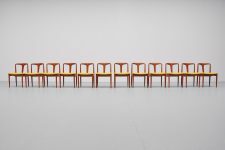 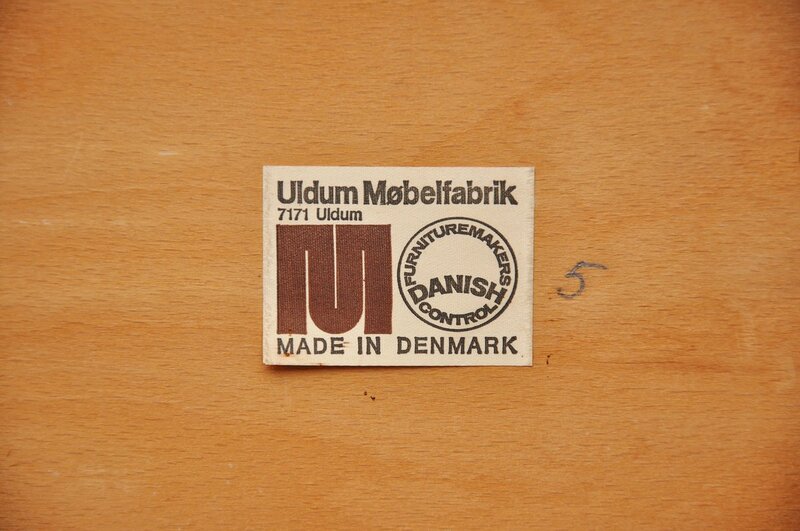 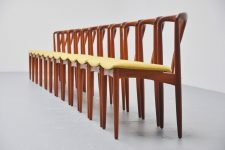 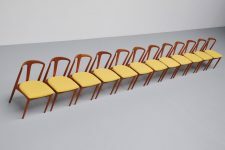 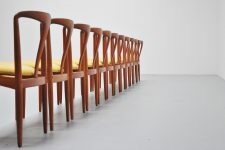 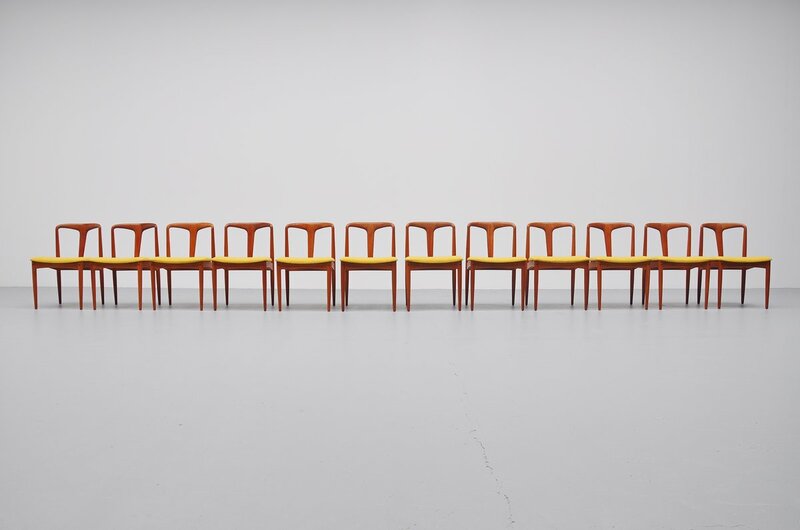 Very nice large set of 12 dining chairs designed by Johannes Andersen for Uldum Mobelfabrik, Denmark 1960. 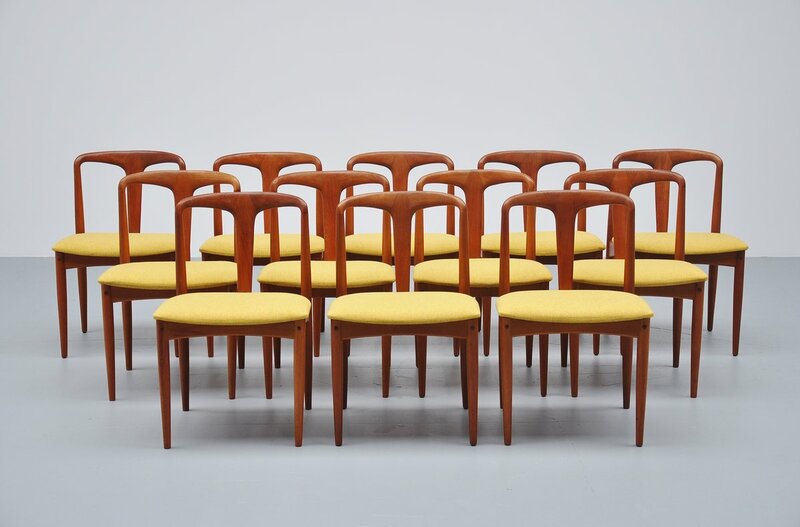 These chairs are made of solid teak and they are newly upholstered in Flora fabric by Kvadrat. The chairs have a comfort seat and look amazing with the yellow upholstery. 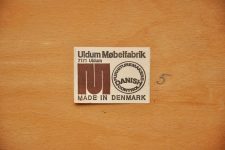 Most of the chairs still have the original Uldum sticker underneath the seat. 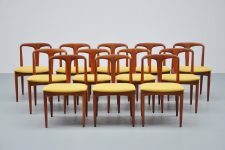 Very hard to find large set of chairs.